Under Pressure, Nigerian President Breaks Silence On Mass Abduction : The Two-Way President Goodluck Jonathan said security forces did not know where the more than 200 abducted girls are being held. He promised the government would "get them out." Nigerian women attend a demonstration calling on the government to rescue kidnapped school girls. After mounting public pressure to say something, Nigerian President Goodluck Jonathan broke his silence on the abduction of some 200 school girls more than three weeks ago. In a TV broadcast on Sunday, Jonathan said authorities still did not know where the girls were. The president appealed to local communities and the girls' families to assist in their search. "We promise that anywhere the girls are, we will surely get them out," Jonathan said, according to the BBC. "The BBC's Will Ross in Abuja says it appears somewhat astonishing that the girls cannot be found when there are reports they have been moved around in convoys of vehicles. "This seems to be a sign that there are parts of north-east Nigeria that are more or less off limits to the Nigerian armed forces, our correspondent says." Jonathan has been hammered over what critics believe is the government's inaction. Chimamanda Ngozi Adichie, the award-winning author of Purple Hibiscus, penned an opinion piece over the weekend urging the president to act against the Islamist group Boko Haram, which has been under suspicion since the April 14 kidnappings. "I want President Jonathan to be consumed, utterly consumed, by the state of insecurity in Nigeria. I want him to make security a priority, and make it seem like a priority. I want a president consumed by the urgency of now, who rejects the false idea of keeping up appearances while the country is mired in terror and uncertainty. I want President Jonathan to know – and let Nigerians know that he knows – that we are not made safer by soldiers checking the boots of cars, that to shut down Abuja in order to hold a World Economic Forum is proof of just how deeply insecure the country is. We have a big problem, and I want the president to act as if we do. I want the president to slice through the muddle of bureaucracy, the morass of 'how things are done,' because Boko Haram is unusual and the response to it cannot be business as usual." Agence France-Presse reports that in a video obtained on Monday, the Islamist group took responsibility for the abductions. "I abducted your girls," the group's leader Abubakar Shekau said in the video, according to AFP. According to a CNN translation of the video, Shekau adds: "I will sell them in the market, by Allah." The 276 school girls were kidnapped from their school in the Borno state on April 14. Fifty-three of them escaped, but authorities believe 223 are still being held. As we've reported, Boko Haram "objects to Western culture, and in particular Western schools." 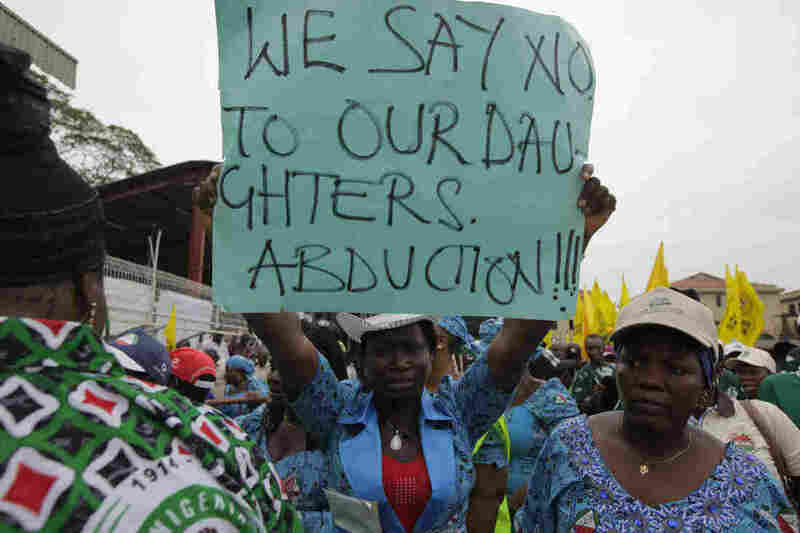 Since the abductions happened, there have been reports that the girls are being married off to Boko Haram militants.